King oyster mushrooms are almost always available. A relative of the 'common' oyster mushroom, pictured left, they have a meatier texture and make a great addition to vegetarian or vegan cuisine. Unlike shiitake, the thick stems are just as palatable as the tops, and can be sliced into slabs or cubes. Our favorite way to prepare them is to slice them lengthwise and grill them with barbeque sauce. 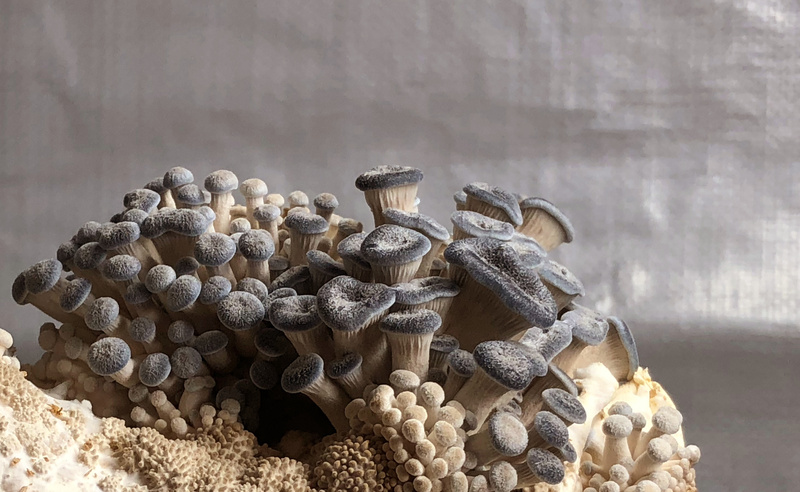 The key to an extraordinary king oyster mushroom is to harvest it early, before it becomes too large and somewhat fibrous. The result is a lower yield but a superior product and a marked improvement in the final dish.